Orion air conditioning & refrigeration ltd is pleased to complete the installation of a large Mitsubishi Electric Air Conditioning PSA floor and Mitsubishi Electric PLA cassette air conditioning heat-pump heating system, two close control laboratories and a chiller coldroom.. Mologic Limited has 22 laboratory and office areas which required close control cooling and heating, air conditioning and chiller stores. The project was based on two floors with extensive pipe runs required (up to 70 meters) to reach individual indoor units within the building. The building was one of the existing buildings on the Bedford Technology park which used to be the old RAE Bedford site and was now being refurbished to house Mologics high technology scientific laboratories. 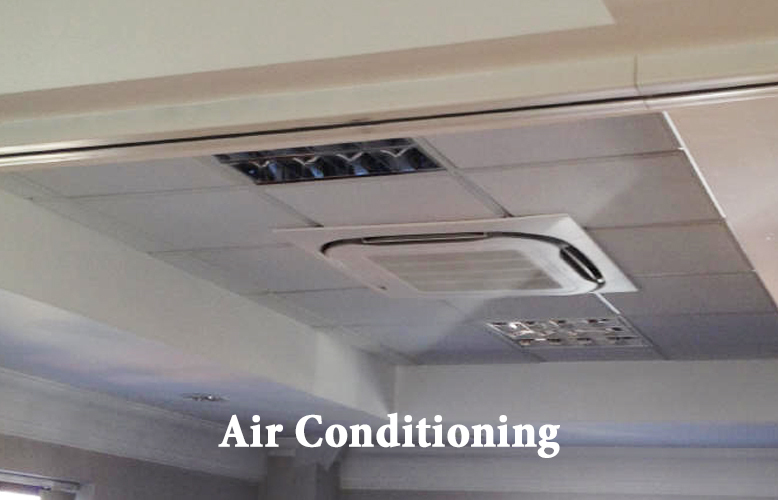 22 x Mitsubishi Electric Air Conditioning 12.5kW PSA floor and 11 x Mitsubishi Electric PLA 6kW cassette air conditioning heat-pump heating systems where installed on ground and first floor. These are extremely powerful and rugged machines designed for a long life. The long pipe run capability made them perfect for the projects requirements and massive head loads produced by the scientific equipment. The Mitsubishi electric outdoor units PUHZ-RP125VKA have a great efficiency and will operate in extreme temperatures ( -15 DegC to 42DegC) whether heating of cooling. 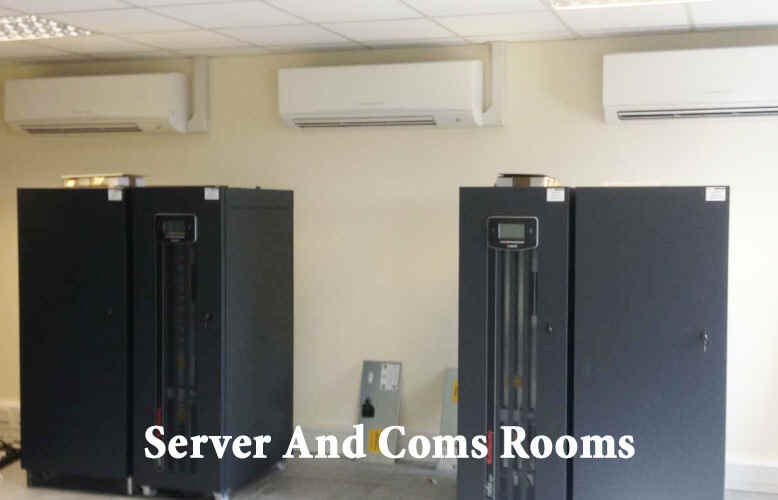 2 x Marstair MCU+80 3 phase 415V close control Air Conditioning 7kW floor standing top discharge units were installed in two areas with set temperatures of 21 DegC and 26 Degc for scientific laboratory areas. The Marstair MCU+80 units run on R407C refrigerant and are a single fan style condensing unit with a maximum piperun of 80 meters. The idea of close control systems is that the temperature is kept within a tight +/- 1 DegC band so the contents of the laboratory or high technology area has a linear temperature. 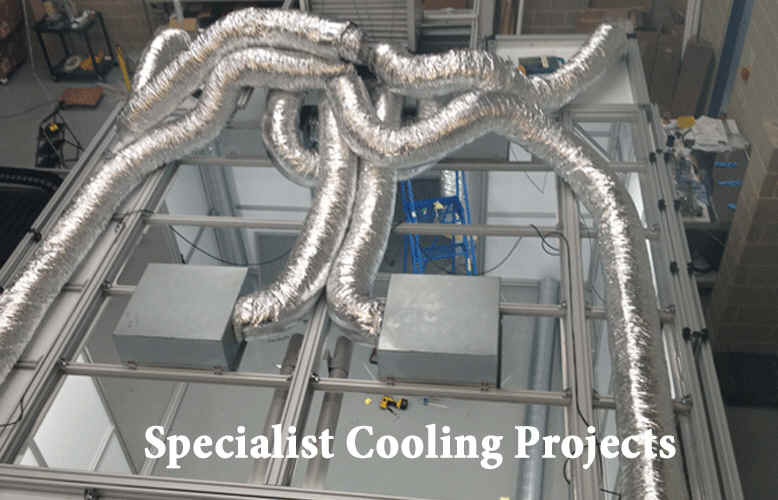 Marstair is a TEV Limited company which specialises in heating and cooling products for commercial applications. These types of units are usually associated with server rooms, Scientific and laboratory applications. One Isark 85mm white panel finish cold room 3 meters x 3 meters with a temperature control of +4 DegC was installed with a Roller flat DLK 432 compact high efficiency ceiling suspended cooler with a Cubigel CMS26TB3N single phase 50hZ R404a refrigeration condensing unit plant. The pipe run was in excesses of 40 meters which meant oil traps were required to retrieve the oil from deep within building. The R407C refrigerant and heating elements within the Roller DLK mean that the cold room can be run in either chiller or freezer modes. The Carel Mastercella is a versatile controller that has high output contacts for direct control of the compressor (30Amp), defrost, fans, alarms, and lighting. For this system we used a solenoid valve with LP/HP control to pump the refrigeration system down so to prevent liquid hammer exposure to the compressor when restarting.